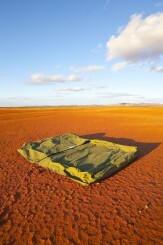 Southern Cross Canvas have been manufacturing Australia’s leading range of premium Australian made canvas goods for 35 years and continue to do so. Their swag range is no exception. There are three different styles in numerous sizes available, apart of their range. You will be able to find a swag to suit your requirements. Also having the flexibility to custom manufacture the possibilities are endless. Southern Cross Canvas have refined and continued to develop their range of swag’s into the sensational and epic swag range that it is today. With its unique design features combined with the quality Australian made canvas, materials and highly skilled workmanship it has become an iconic swag range and revered by many, many satisfied customers of Southern Cross Canvas over the years. Swags are a staple of Australian culture. They are not that common around the rest of the world but they are a way for adventurous Australians and even visitors to get up close and personal with Australia’s beautiful environment. Swags are designed to be convenient for use in treacherous terrain. 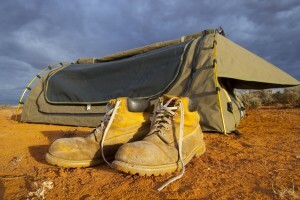 The bush can be a difficult place to navigate so swags were specifically designed to not hinder their carriers. In today’s world, it means that travellers using a vehicle can conveniently pack away their swag. It is also easy to assemble and disassemble. Swags were built with a focus on comfort. 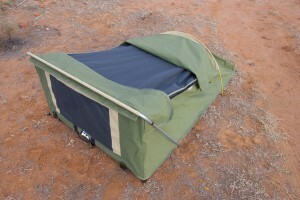 Many have mattresses included within them and the best swags for sale will offer weatherproofing technologies to keep its user as comfortable as possible. No more annoying insects or the fear of something entering where you’re sleeping. 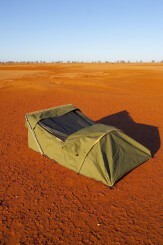 It isn’t just about comfort: the best swags Australia has to offer also keep their users safe and dry. This protection from the elements is important and stops travellers from getting caught out and stuck in a situation where the weather changes quickly. But what makes our swags stand out from the crowd? We offer the best Australian made swag on the market because we have been doing it for so long. Our company was established over 35 years ago by Ian Dix when he realised that the offerings at the time were poor. The company has since grown to be managed by two generations and offer some of the best products to customers. We only work with the absolute finest Australian canvas. This focus on quality materials – backed by quality craftsmanship – mean that quality products are the result. Our customers are always delighted at the build quality of their product and the longevity that those products enjoy. In fact, we offer a range of repair services to our customers. That’s the benefit of buying a quality product: small imperfections that develop over time can be quickly resolved and the product is like new again. With a poor product, a slight imperfection will quickly grow until the entire product itself is compromised. When it comes to camping and outdoors equipment that is designed to keep you safe you can’t take any risks. We don’t just focus on quality and then stop there: we want to fit the exact needs of our customers. This is why we are delighted to speak about customisations that can be made to ensure the swag is perfect for its user. Given that the swags last for so long it’s important that they are just right for their owner. If you’re convinced and would like to learn more about what we can do for you, be sure to visit our website or give us a call today. It will be our pleasure to speak further with you and create the swag that will become a reliable and constant travel companion.